WHEN YOU WANT TO SAVE MONEY AND WASH YOUR HAIR WITH GENTLE, NATURAL, AND SAFE INGREDIENTS, YOU CAN LEARN HOW TO MAKE SHAMPOO AT HOME. WE’LL SHOW YOU HOW TO MAKE HOMEMADE SHAMPOO THAT IS SAFE TO USE EVERY DAY AND LEAVES YOUR HAIR HEALTHY, CLEAN, MANAGEABLE, AND FULL OF SHINE. THESE DIY SHAMPOO RECIPES COME IN A VARIETY OF FLAVORS AND COLORS AND ARE EASY, FUN, & CHEAP TO MAKE. IF YOU DON’T HAVE TIME TO WASH YOUR HAIR, A DRY SHAMPOO CAN ALWAYS COMES TO THE RESCUE. BUT WOULDN’T IT BE NICE IF YOU WERE CERTAIN IT ONLY CONTAINS SAFE INGREDIENTS? THIS DRY SHAMPOO WORKS GREAT WITH BOTH DARK AND LIGHT HAIR AND INCLUDES HEALTHY INGREDIENTS SUCH AS ARROWROOT POWDER AND ESSENTIAL OILS. PLACE ALL INGREDIENTS IN A SMALL JAR AND MIX WITH A SPOON. APPLY THE DRY SHAMPOO WITH THE MAKE-UP BRUSH ONLY TO THE OILY PARTS OF YOUR HAIR. 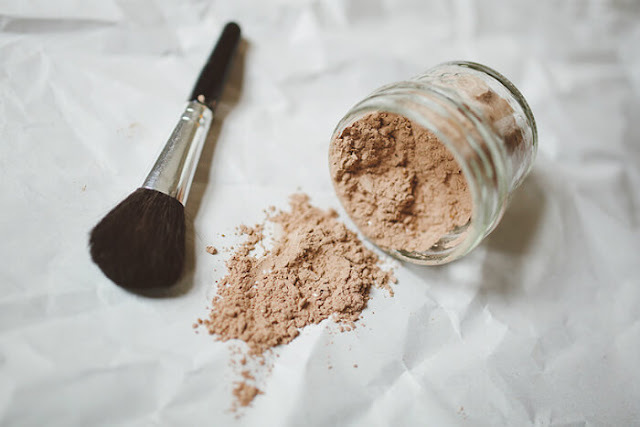 MAKE SURE TO USE A COMB OR A BRUSH TO REMOVE THE EXCESS POWDER.